'The Crack' at Wet Beaver Creek is a cliff jumper's dream, but it also offers something for everyone, with smooth rocks for sunbathing and shallow waters for wading. 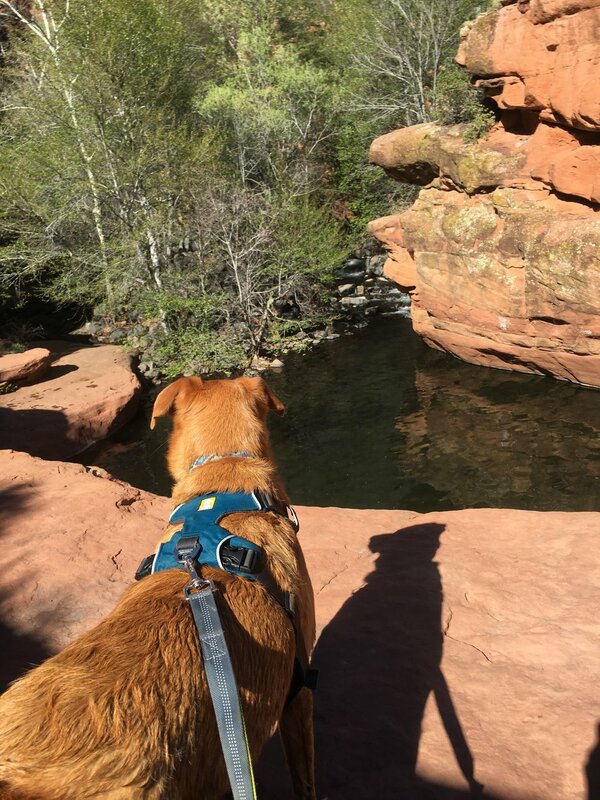 To get to The Crack, it's about a 3.5-mile hike each way, making it slightly less popular than Sedona's more accessible swimming holes. 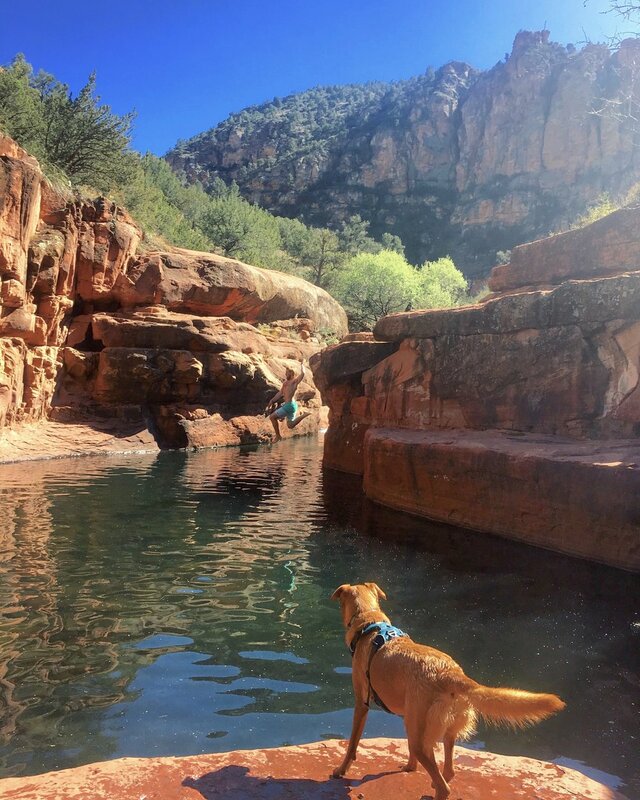 While you only gain about 500 feet of elevation, the hot desert sun is what makes this hike tough - but the swimming hole makes it totally worth it. You'll park at the Bell Trailhead in a well-marked parking lot (just follow the signs for Beaver Creek Work Center). There are pit toilets at the trailhead and no fee or permit required to park there. On nice days during fall and spring, the parking lot can fill up, in which case you can park in the overflow parking areas (you'll see signs before arriving at the trailhead). Sidenote: No cell service is available on the trail or at the swimming hole.